Is Africa The Way Forward For The World? This assertion may be outlandish but a close examination of the continent’s role in global economics today may prove this Nigerian professor right. Africa may be lagging behind in technological superiority and overall development but the continent fuels the rest of the world with most of the resources and commodities used in developing new technologies. This way, the continent is a big part of the value chain that supports, conceivably, every form of innovation that the western world boasts of. 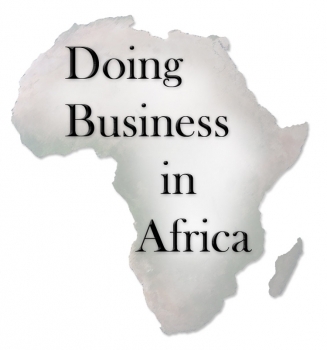 Because of its role at the beginning of these value chains, Africa continues to attract and maintain multi-lateral relationships with the likes of China, the United States, France, and even Russia. Growth in the developing world has slowed in recent times and the western world has beamed the spotlight on the vastly underdeveloped Africa as a new frontier of growth. Beyond being a resource-rich base, Africa’s population continues to rise in a most-attractive way as the vast majority of Africans are youth; by this trend, Africa has, arguably, the largest cluster of working-age individuals on earth today and this trend is expected to continue beyond 2030. Currently, about 200 million Africans are aged between 15 and 24 according to the global consultancy Deloitte. Because of the rising young population, enormous opportunities will blow up for consumer goods and more investments will flow towards the continent. These young folks are also increasingly settling in urban areas, thus accounting for the recent rise in urbanization across the continent. Soon, many urban areas will cross national boundaries, linking up major population clusters and creating even more markets and trade opportunities. The rest of the world may have labelled Africa as the “dark continent” in times past but this “darkness” is presenting the business case for investments from other “brighter” regions especially as the continent continues to offer some of the highest returns on investment today. The gaps in infrastructure, health and overall development are all disguised opportunities that many international players are already leveraging.